According to the Houston Chronicle, business owners save $36 per month replacing paper towels with automatic dryers. That's a crazy stat. Are you sick of wasting money purchasing tons of paper towels? Tired of cleaning up disgusting, soiled hand towels in your restaurant bathroom? Even worse, are your (idiot) customers flushing hand towels down the toilet costing you boatloads of money in plumbing repairs? If so, you are on the verge of making a wise decision - automatic hand dryers are an energy-efficient, hygienic (hands-free) & cost-effective replacement for paper hand towels. They are pretty easy to install, fairly durable, and not that expensive, either. 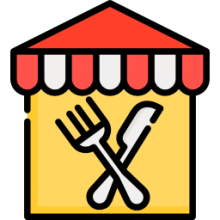 You'll commonly see them in restaurants, movie theaters, and bars, but they have also gained popularity in households too. Newer models available now are quieter, faster, and more efficient than in the past- so there's really no reason not to at least investigate installing one in your home or business. Let's take a look at 5 of the best-selling options on the market today. The Household Hotel Automatic Infared Hand Dryer is another cost-effective and hygienic option to consider. This model has especially advanced infrared sensors that ensure automatic activation. 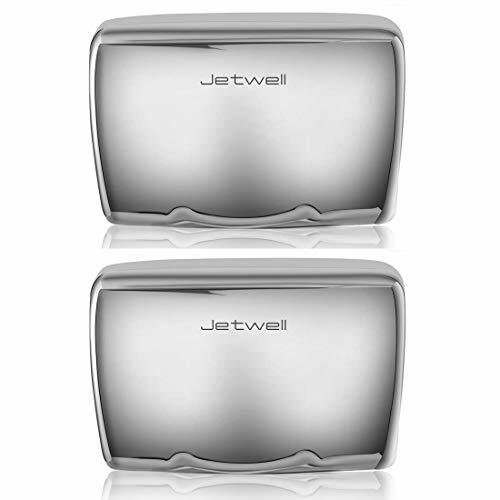 Made of a durable and shockproof cover, the auto hand dryer emits little noise without compromising the airflow power. The airflow speed is at 33MPH and the device has 2000W capacity. Another good feature in the device is the one-minute overtime protection it offers. The amount of paper towels used in a restroom is mindboggling- especially if you own a busy commercial establishment. A good hand dryer could save you money as well as keep the bathroom areas clean, safe and hygienic. The Oion Industrial Automatic Hand Dryer could be an ideal choice if you want to keep your bathrooms free of disease-spreading bacteria. The dryer can be used in restaurants, hotels, malls, gyms, workplace etc. The custom-designed noise reduction nozzle can reduce the noise to about 9 decibels. The unit is covered by brushed stainless steel to ensure that it doesn’t get too scuffed up over extended use. The unit has a 1800W powerful motor to dry hands quickly and effectively. 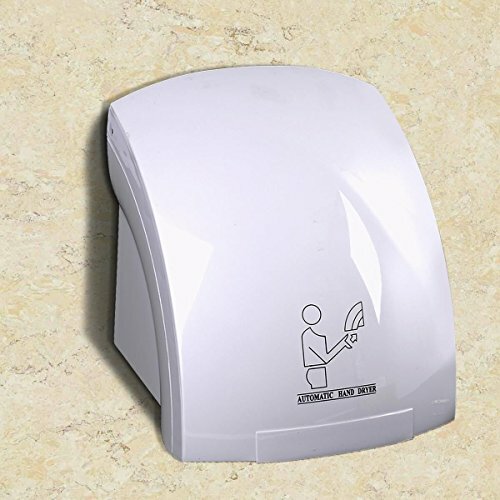 Environmentally conscious users will find the TCBunny Automatic Hand Dryer a solid option. 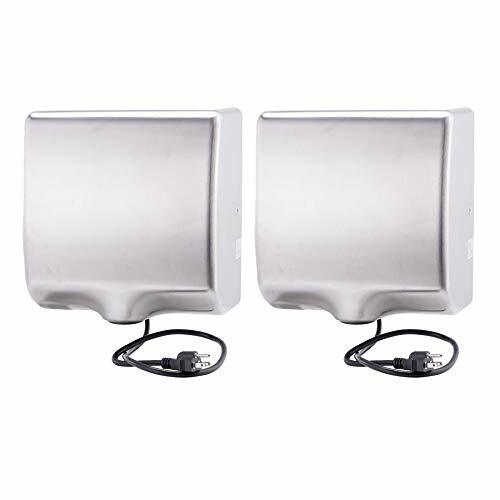 It is an especially eco-friendly and energy efficient auto hand drier. The dryer has a powerful motor of 110v and 1800 W that operates at a high speed of 90m/s. The unit is constructed of stainless steel and easily wall-mounted with a little elbow grease. To overheating, it is programmed to stop hot air flow after 60 seconds of operation. 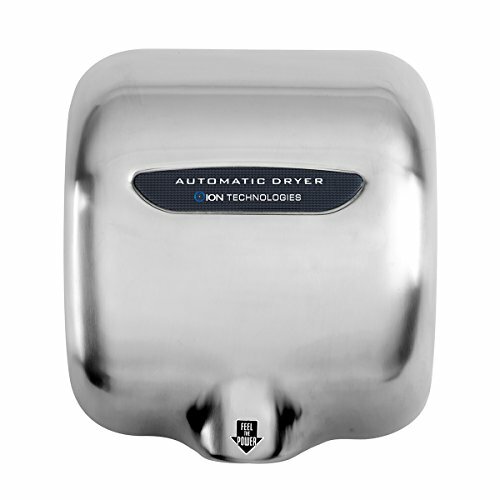 This is a motion-activated auto drier so it is especially sanitary in bathroom environments. It dries hands in just 10 to 12 seconds with the air temperature set at 45-60 degrees. 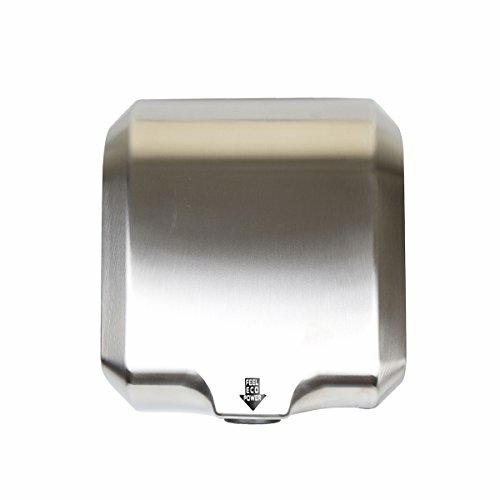 The Tek Motion 1800w Stainless Steel Hand Dryer is another solid option to consider if you are looking for a strong automatic drier for your bar or restaurant bathroom. The hand dryer is eco-friendly and energy efficient, saving nearly 50 percent more energy than a conventional hand dryer. It will save you paper towel expenses plus the gross hassle of dealing with disposed & soiled hand towels. It can dry hands fast- within about 12 seconds. Since it is motion activated at a distance of 5 inches (which is also adjustable) it is highly sanitary. The noise is low at 72 decibels. The dryer is CE certified & IPX1 waterproof-grade. The Penson Automatic hand dryer is yet another environmentally friendly and economical option if you want to dramatically reduce paper towel hassles. This auto hand dryer is powered by a 650 W engine and a 1150 W heating element. It consumes much less energy compared to other conventional and automatic hand dryers. The infrared sensor activates instantly and stops when you remove your hands. Made of high quality stainless steel, the device has an attractive finish. Another important feature is the chip-controlled technology, which improves drying performance considerably. The hot air volume is really strong which ensures speedy hand drying. Common features of automatic hand dryers include strong power capacities, high airflow abilities, strong air velocities, a reasonable sensing distance that is adjustable, temperature cut off controls, adjustable thermal and air temperatures as wide air outlet diameters. Like sneeze guards, these products are great for controlling the spread of germs in a restaurant. Customers have often resorted to hard-wiring their automatic hand dryers, commenting that this is a more efficient and attractive way of installing them. One user writes that initially he was hesitant to purchase an auto hand dryer, because he personally preferred using hand towels. However his wife convinced him to try them out and after some research he found that they were relatively inexpensive, easy to install and surprisingly effective. He ended up purchasing half a dozen of them for his home as well as his restaurant business. Most users were pleasantly surprised with how powerful these devices are- and also the templates include make them pretty simple to install on your wall. One user made the helpful comment that when you install the automatic hand dryer make sure that it is low enough so that it can dry the hands of children in the bathroom as well. Another user bought the TCBunny automatic and dryer thinking it would be a novelty device for his home, but he found that he and his family enjoyed how effective and powerful it was. It effectively reduced germ transmission in the home as well with its heat, strong airflow and touchless design. One user who purchased an automatic hand dryer for her church had commented that they did so because people were flushing hand towels down the toilet which clogged it making for an expensive plumbing repair project. The biggest compliment users provide is that these portable automatic and dryers are saving them money month on month. 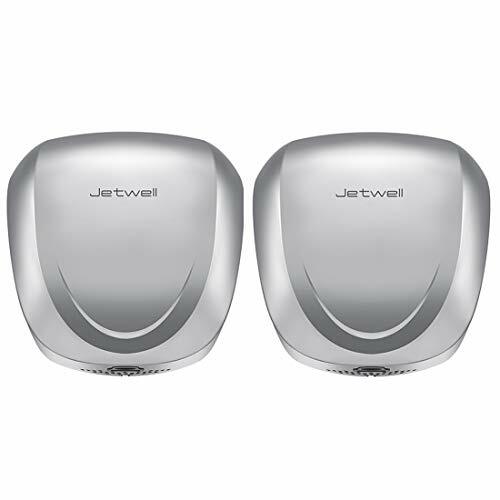 If you are considering purchasing an automatic hand dryer for your fitness studio, restaurant, bar, or even for home use, consider some of the models that we have reviewed and recommended above. 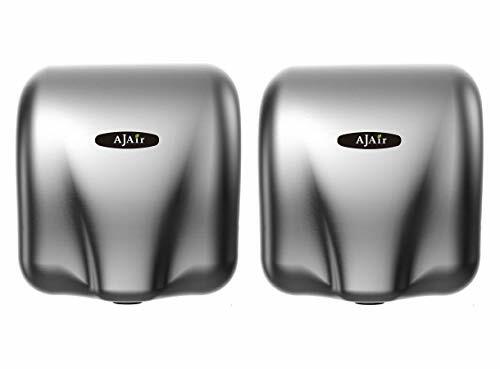 Besides being a more hygienic option than paper towels, it's likely that these durable automatic hand dryers will save you money in the long run. Many people have commented that they no longer need to buy huge quantities of hand towels, which can often clog toilets, now that they have these handy devices. Make sure you leave the product specifications carefully to ensure that the dryer you were looking at is right for you. The Oion stainless steel seems to be the way to go for me. I would love to keep the bacteria growth in my bathroom down. I want to get an air dryer for my house. It would be nice to have a clean way for my guest to dry their hands.